Fiona Dalziel has some tips to help practices manage GP partners' and employees' annual leave so that nobody feels unfairly treated. Feelings of resentment can quickly build up over real or perceived unfairness in relation to time off work. This applies to every single member of the team. How can this be avoided? Making a decision 'on the hoof' about whether something is fair or not is probably going to end badly. Discuss and agree rules on annual leave management with staff at a time separate from when an individual is making a specific request. Write down rules and circulate them. Although there will be differences between the rules for partners and employed staff, the key is transparency, fairness and consistency. For example, when an annual leave request is made, to whom should it be made, how should it be made and how much notice of being away is required? You also need rules for who decides whether leave is granted and who makes the final decision if there is a conflict. Plus, you may also need to agree how exceptions will be managed. Scrupulous recordkeeping and counting up days off are as vital as sticking to the rules. This can be extremely onerous and it may be worth investigating rota software – see below. 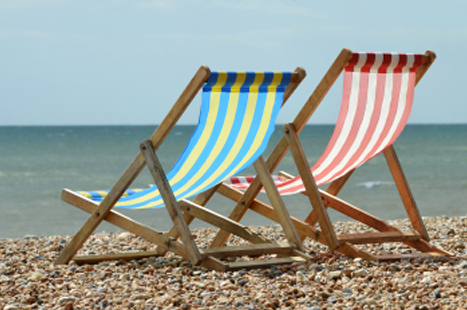 Early in the calendar year is an appropriate time to review how much annual leave is allowable for both GP partners and salaried GPs. Ensure that this is in the partnership agreement as well as in contracts of employment. Both may need updating if issues such as extended hours have had an impact since GPs’ leave was last considered in depth. Be clear about what counts as 'annual leave'. For example, you may agree that time out of the practice for a personal, non-medical reason of more than one hour counts as annual leave. Make sure salaried GPs’ contracts are fair and reflect what actually happens with their leave. Annual leave allowances are normally calculated pro rata for part-timers on either an hourly or sessional basis. With the latter, the session length needs to be defined beforehand to ensure fairness. See Arranging GP partners' entitlement for holiday for how this impacts on your partnership agreement. It is wise to have an annual leave policy to underpin leave terms in staff contracts of employment. Many practices have adopted a system where staff holiday allowances are calculated in terms of hours rather than days. This is particularly helpful if you have part-time staff working days of different lengths. Some practices are clever at devising spreadsheets to cover the complexities of rotas and leave. However low-cost programs that take some of the pain out of this can be bought online. With these, users pre-define team members and types of shifts worked. Features offered may include a holiday allowance planner; reports on staff hours worked, time off taken (by type such as unpaid leave, sickness), number and types of shifts worked and payroll reports of overtime hours worked. You may also be able to use them to forecast staff costs and request shift changes. How to cover the partners’ annual leave. Will they cover each other, pay personal locums or will the partnership employ locums? How many GPs can be on holiday at any one time. This is particularly relevant in a practice with a lot of doctors with young families, who all want the school holidays. Consider a rota for who has first choice for Easter, summer, October and the festive period if the number who can be off at one time is less than the potential number of people wanting that time off. How you will manage leave requests for high-demand periods. Operating a first-come, first-served policy may be unfair, especially to part-time doctors. Well in advance of these periods, consider holding a dedicated ‘holidays’ meeting, with everyone present. A requirement for GP registrars to notify their annual leave allowance details to the practice manager. Agree who approves their annual leave and how is it recorded to avoid a GP trainer approving leave which the manager says is impossible (or vice versa). How the practice manages time off for ad hoc events such as a partner’s family member’s illness, school sports day and so on. Beware adopting a case-by-case basis as it will become inconsistent. How many staff can be off from any team at any one time. A definition of the notice period required for any annual leave; this is usually twice the duration of the leave requested. How absences will be covered. Consider the most cost-effective way of covering absences. There is no magic wand: overtime will cost mone, time in lieu will need to be covered at another time. Consider temporary seasonal staff such as students.